9 February 2015: In the 2014 World Mayor Project, where Annise Parker was awarded 7th place, a Houston citizen described her as one of a handful of US mayors who have led their cities successfully through the country’s most recent financial and economic crisis. “Her policies have ensured that the city remained financially healthy and set the foundation for its economic growth today.” Her courage to be open about her sexuality in conservative Texas has also made her a human rights pioneer and role model. 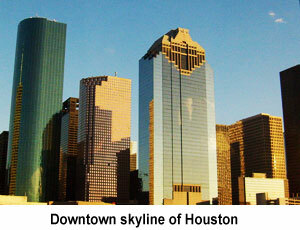 Annise Parker has been Mayor of Houston, the fourth-largest city in the USA, since 2010. She has been elected three times, most recently in 2013 but, although she is the only Houston political figure to have served full terms as mayor, city controller and council member, she wasn’t an instant hit with the voters. During the 1990s, she stood twice unsuccessfully in council elections. She was the first openly gay woman to win a mayoral election in a large US city. Her first victory in December 2009 was widely regarded as a major event for equal rights for gays and lesbians in the US and attracted national and international publicity. 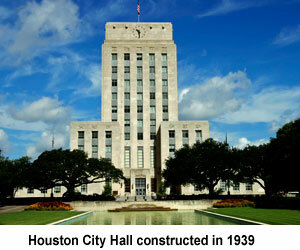 Under its city charter, Houston is governed by the mayor-council model, with nine city councillors elected from council districts and five on an at-large basis. All elections to the city council are held every two years on a non-partisan basis. 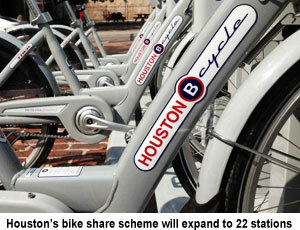 Houston’s mayors are limited to three two-year terms, as are city councillors. Whilst attending the US Mayors winter meeting in Washington DC in January 2015, Mayor Parker was presented with the annual award sponsored by Americans for the Arts and the US Conference of Mayors for national contributions to local arts. The sponsors said she embodied the best of what a civic leader can do to promote the arts. Local Houston Arts representative Jonathon Gluss said that she had worked tirelessly to integrate the arts into the fabric of City Hall. Gluss noted she had made arts a priority throughout her 17 years at in representative positions. The Mayor has secured unprecedented funding by piloting an ordnance, which reserves an annual US$86 million of funds from the city’s Hotel Occupancy Tax for the arts. In January 2015 Mayor Parker announced that the first head of her new Office of Compliance and Ethics would be Lynne K Fons. The mayor has established the new bureau to provide better oversight across the city departments to ensure that ethical standards are adhered to throughout the council and employees are aware of their regulatory responsibilities. Mayor Parker has emphasised ethics throughout, sometimes controversially. In April 2014 she introduced a non-discrimination ordnance proposal affecting all employers and services in Houston, which was approved by the city council the following month but heavily criticised by conservative sections of the community, who introduced a legal challenge. Mayor Parker emphasises the importance of Houston’s actions in utilising green technologies and solutions to make the city more resilient and prepared for climate challenges. She established the Houston Office of Sustainability in 2011 and has overseen a planning regime, which has enabled the city to be consistently in the annual top ten in the country for energy star buildings. Carbon emissions are also being addressed by improving cycle infrastructure, which is being done through a greenways project that also adds green-space and by extending the metro and light rail networks. After work on a task force she and other mayors published the US Mayors National Climate Action Agenda in 2014 and she is a member of the President Barrack Obama’s Task Force on Climate Preparedness and Resilience. In March 2014 Mayor Parker joined with the mayors of Dallas and Fort Worth to declare strong support for the proposed high-speed rail project between the three cities. The promoters of the scheme, which would be entirely privately financed for the Houston  Dallas section, estimate the cost at US$10 billion and the journey time at 90 minutes. They hope to complete construction by 2021. “This would provide a safe, clean alternative means of travel between our cities which would save time and allow sustainable growth,” Mayor Parker said. The mayor’s determination to be active in promoting the concerns and rights of the LGBT community had been controversial aspect before. But the row over her anti-discrimination reforms reached a new dimension in the autumn of 2014, when the city council initially responded to the legal challenge by issuing subpoenas against five pastors, seeking information about sermons, a demand which was seen by many as infringing religious freedoms. Although Mayor Parker had played no part in preparing the legal documents or in the decision the council took to declare that opponents of the ordnance had failed to get enough signatories to force a public ballot vote, she heavily criticised by conservative and Christian groups. The Mayor demonstrated her political skills in arranging a meeting with senior religious figures in October 2014 and subsequently announcing that the subpoenas were being withdrawn and that the council should never have allowed the rights issue to become intertwined with religious freedoms. Several of the religious leaders said afterwards how reasoned and civilised the discourse had been. In the summer of 2014 Mayor Parker approved an ordnance to extend the restrictions on smoking around the city. All outdoor and indoor spaces in areas managed by the libraries and the parks departments are now smoke-free. One of the largest and most far-reaching initiatives she has successfully established is steadily resolving the long-standing problems of pedestrian access and street formation in Houston. She persuaded voters to approve a bond, which is creating a budget of over $410 million to dramatically improve the streets of the city and to ensure road-space is shared between users and is not any longer dominated by cars. Mayor Parker has been open about her sexuality throughout her public life. She was President of the Houston LGBT caucus in 1986. She and her partner of 24 years Kathy Hubbard were married in 2014. Long-time advocates of adoption they have two adopted and two informally adopted children themselves. All are now adults. 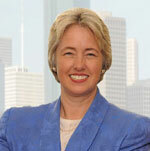 Annise Parker was born in 1956 in Houston. During her childhood she lived in the city but spent two years of her adolescence in Germany when her father was working there. She has said that she knew about her sexuality early on and may have first fallen in love with another girl in Mannheim. Subsequently she attended Rice University in Houston where she attained a BA in Psychology, Anthropology and Sociology in 1978. She worked in the oil and gas industry in Houston for 20 years. This career background has clearly helped her more recently to work effectively with the business sector in promoting the city and in enhancing her political base. For 18 of those 20 years she was employed at Mosbacher Energy Co a private equity company founded in the 1950’s by Robert Mosbacher. He was a high profile Republican who served in one of President George Bush’s cabinets as Secretary of Commerce. A close friend of the president, Mosbacher was also a prolific fundraiser for the party. Mayor Parker was employed as a systems analyst specialising in economic modelling for most of her time in the sector. This experience will have been a good background when she became a full-time politician in 2003. After serving three terms as a council member she contested the election for the City Controller position. This is the chief finance role in the Council. It is the second most important job in local government in the city. She immediately upgraded the IT systems. Winning respect and praise for her prudent, effective approach she won re-election as City Controller unopposed in both 2005 and 2007. That well-earned reputation for financial management expertise was echoed in her 2009 Mayoral campaign when budget control was one of her stated priorities. She also highlighted transportation reform, especially in support of the active modes, and the importance of support for the arts in shaping Houston. In all three campaigns, and many speeches, Mayor Parker has emphasised sustainable economic growth and the significance of jobs in the success of the city. Annise Parker has business experience beyond the cloisters of the corporate world. From 1988 -1998 she was co-owner of a bookshop in Houston, named Inklings, with Pokey Anderson, also a lesbian activist in Houston who had founded the political caucus in the 1970s. From the late 1970s on, Parker was prominent in political and broader civic life in Houston. In addition to her involvement with the LGBT political caucus she also became a spokesperson for the wider lesbian and gay community in the city. During the late 1970s and early 1980s she experienced death threats as a high profile lesbian activist prepared to debate on radio with very reactionary people. She has noted in subsequent press interviews that the hostility, which she has faced sometimes in her time in municipal politics, is nothing compared to what she experienced then. What next for her? Her liberal social values and fiscal conservatism as well as her well-earned reputation for honesty and competence would fit the bill in the current Democratic Party for state or federal elected office. She has spoken from time to time about a potential gubernatorial or state legislature contest.